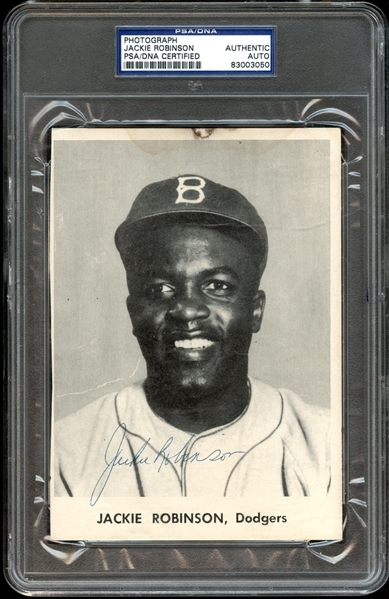 William Shakespeare once said, “Some are born great, some achieve greatness, and some have greatness thrust upon them.” It can be said that Brooklyn Dodgers infielder Jackie Robinson experienced all three. 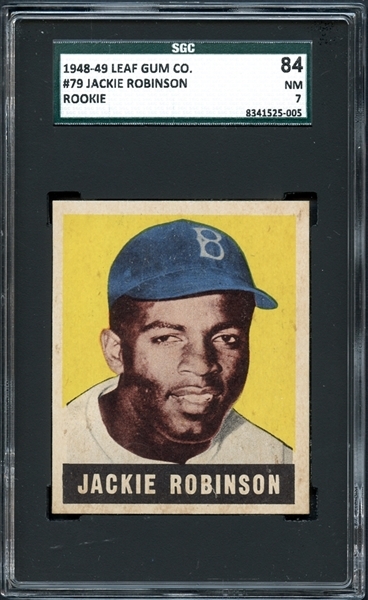 While Robinson’s career numbers don’t place him in the company of a Ruth, Gehrig or Cobb, his contribution to the history of baseball, as well as that of American society, makes him one of the most important figures of the 20th century. Baseball has always been considered an American institution, one that holds sacred its storied traditions and doesn’t take kindly to change. And with racial segregation dominating the climate of the time, it was a bold and daring move for Dodgers owner Branch Rickey to choose that moment to sign two black players, Robinson and pitcher Johnny Wright, and assign them to the class AAA Montreal Royals. Robinson quickly displayed the kind of superior talent that was major league material, but was that enough? steals while registering a slugging percentage over .425. 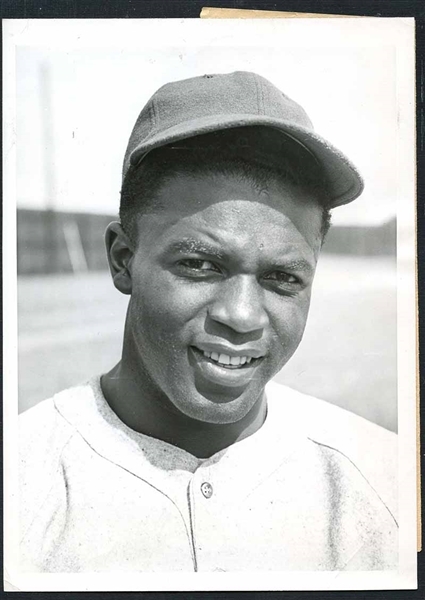 More importantly, Robinson’s career made possible the rise of fellow teammates Don Newcombe, Jim Gilliam, Joe Black and Roy Campanella as well as baseball legends Hank Aaron and Willie Mays and those who would follow. It has to be seen to be believed! When this ball arrived in the MHCC office, we were amazed at how incredibly clean and bold the signature projects, virtually perfect and easily the best known to exist. 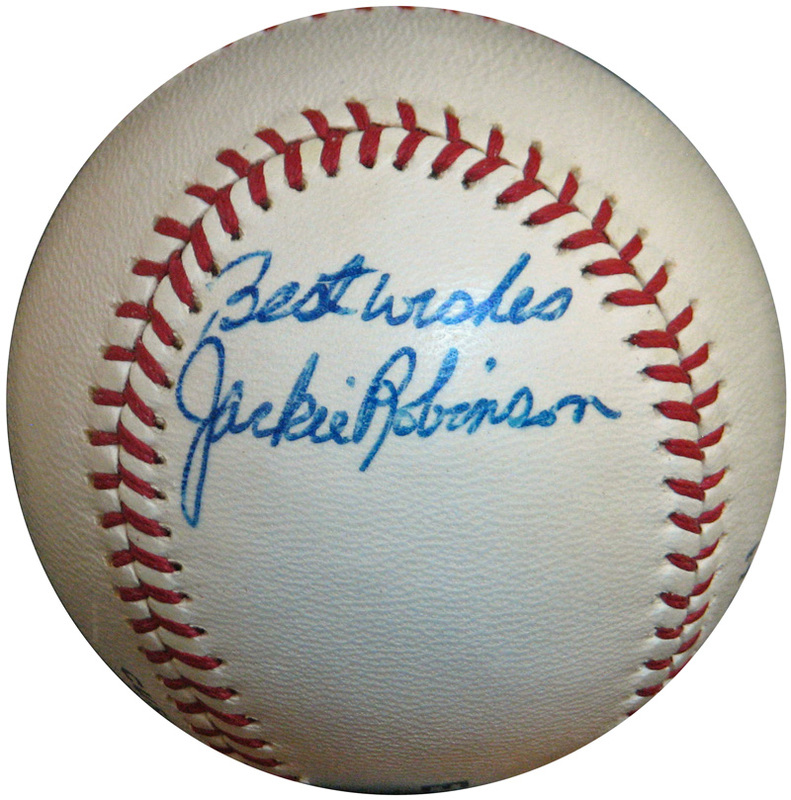 Sporting the customary “Best Wishes” greeting and side panel placement, a trademark of the Hall of Famer, the ball has been giving a triple authentication from JSA, SGC and PSA/DNA, the latter two grading the ball at MINT 9. Simply put, it is virtual perfection! 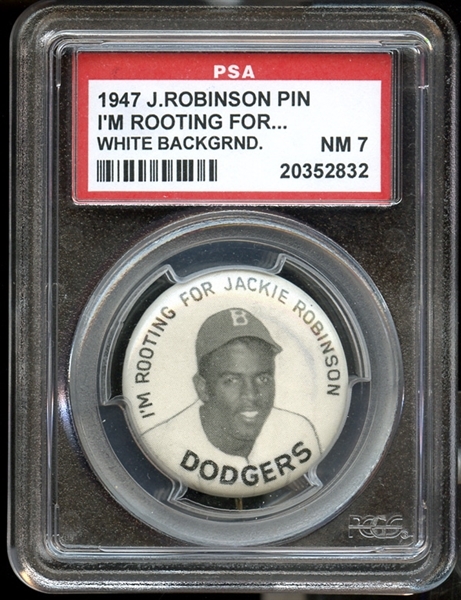 The ball will be featured in the Mile High Card Company catalog auction, beginning on Monday, Nov 20th and concluding on Thursday, Dec 7th.